Steep 1tsp of dried camomile flowers in 1 cup boiling water. Wrap in cheese cloth and use flowers as a warm soothing compress or use the tea as an eye wash. 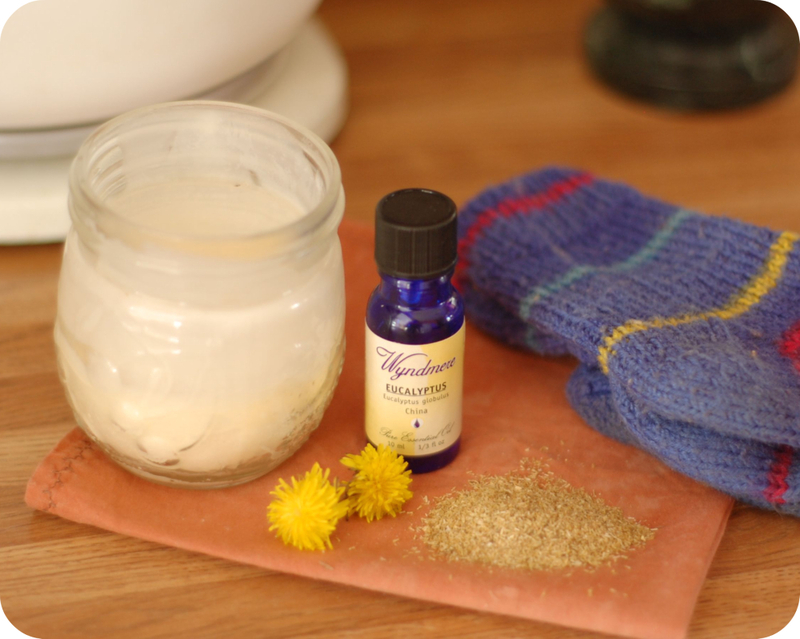 Mix up a batch of beeswax oil and add a few drops of eucalyptus essential oil. When the salve is cured, rub generously over the bottom of the feet and cover feet with a pair of warm hand knit wool socks.